At Home Animal Hospital provides veterinary medical care for emergencies and critical urgent care for both existing and new patients. If you experience a daytime emergency with your pet please call us at 808-873-0102 and our compassionate and highly skilled staff will prepare for your arrival immediately. There is no additional daytime emergency or same day visit surcharge during our regular hospital hours. If you have an emergency after hours please call 808-873-0102 and the message will provide you with instructions of where in Maui you can take your pet. 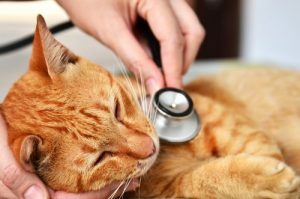 If you suspect your pet is experiencing an emergency, prompt medical attention can alleviate unnecessary suffering and offer the best chance for a full recovery. All of our veterinarians and staff are trained to effectively stabilize and treat a wide variety of emergent injuries and illnesses.. There is NO-FEE for same day appointments nor additional costs for emergencies when our Kahului veterinary clinic is open. *After our business hours we will direct emergencies to other clinics.